This is a round Frontier Gas porcelain sign. This particular Frontier Gas sign is red and white with white print. 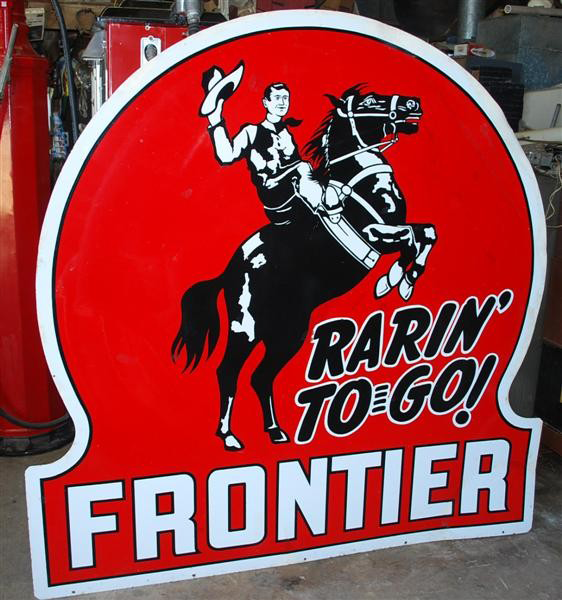 It reads, “Frontier, Rarin’-To-Go” and features the black silhouette of a man riding a bucking horse.